CE Marking for steel structures came into force in July 2014 in the UK and is a legal mandatory requirement in to be able to declare conformity with the requirements of BS EN 1090-1 and as a consequence achieve the CE Mark. CE Marking has been around for a number of years but for the Construction Industry it really became ‘live’ in 2011 with the introduction on the Construction Products Regulation. From 1 July 2013, under the Construction Products Regulation 2011 (CPR), it became mandatory for manufacturers to apply CE marking to any of their products which are covered by a harmonised European standard (hEN) or European Technical Assessment (ETA). 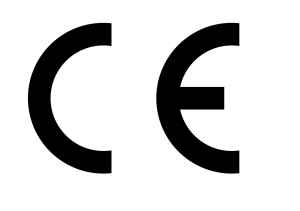 CE Marking is designed to give evidence that products are compliant with EU legislation and enables the free movement of products across Europe. By affixing the CE Marking on a product, a manufacturer is declaring, on his sole responsibility, conformity with all of the legal requirements to achieve CE Marking and therefore ensuring validity for that product to be sold throughout the European Economic Area. Factory Production Control (FPC) System compliant with BS EN 1090-1 that defines the manufacturing controls required to ensure that structural steel components meet a range of clearly defined technical requirements relevant to their manufacture. The steelwork contractor is required to have a documented welding quality management system (WQMS) and a nominated person(s) responsible for all welding activities i.e. Responsible Welding Coordinator (RWC). SEN 1090-2 sets out the technical knowledge required based on the companies declared execution class. The higher the nominated class, the more stringent quality related criteria will apply. Execution Class: What are they? What can the Management Standards offer? There are four classes of work that a company can undertake, these classes define the complexity and risk undertaken and the complexity of the management systems. From July 2014 all Structural Steel must be CE Marked and all companies that manufacture or supply structural steel will need to have the following in place. Purchasing systems must be structured to only purchase CE Marked sections, bolts and welding consumables. A Quality Control system that may be compliant with BS EN ISO 9001, or QG-QMS in line with the Euro Codes BS EN 1090-1 and BS EN 1090-2 must be in place. Companies must be certified by an approved body. Our consultant will be on hand to assist you in the interpretation of the standards, coach you in the production/development of processes and procedures, train you in the implementation of the management systems, train internal auditors and carry out internal audits at the appropriate time. You will be required to commit the resources to writing of your welding quality management procedures, ensuring personnel are implementing these policies, appropriate personnel are trained and internal audits are completed. We only use UKAS accredited certification bodies, and we can help you find the best one for your business. I think by now you will understand that we are a no nonsense implementer of CE Marking compliant systems, we will not fudge around the edges, or extend implementation to certification longer than it needs to be. We will also be up front with the resources required to achieve your goal. When you have achieved certification we do not just leave you to flounder. QG Management Standards has supported businesses since 1994 by going that extra mile. Subject to you retaining your certification you will be able to use the QG logo on your letterheads, websites and other marketing materials.